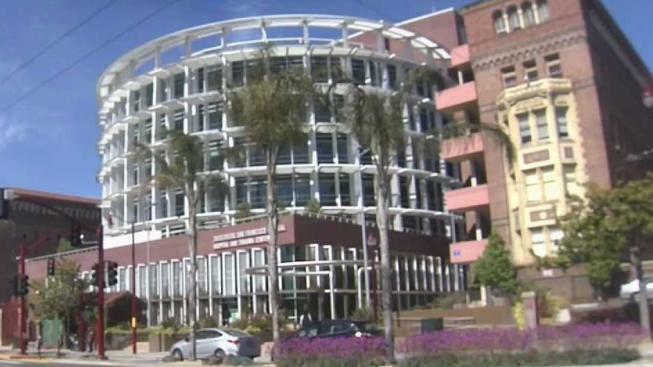 NBC Bay Area’s Investigative Unit has learned that San Francisco police homicide investigators are probing another mysterious death of a woman on the grounds of San Francisco General Hospital. The disturbing discovery comes one week after 75-year-old Ruby Lee Andersen was found in the stairwell of an engineering building on the hospital grounds. The newest case began at 6 a.m. on Monday. NBC Bay Area has learned a woman, who was being held on a 72-hour psychiatric evaluation hold, was found dead. Sources say she was being treated on a bed in a hallway. However, there are questions about whether anyone checked on her between 2 a.m. and 6 a.m. Authorities say San Francisco police took her to the unit at 12:30 p.m. on Sunday. SFPD homicide investigators and the medical examiner’s office are trying to determine why she died. The woman, who was in her 40s, has not been publicly identified pending notification of next of kin. We reached out to the city for comment. A spokesperson for the San Francisco Department of public health tells us, “Privacy laws prevent us from confirming any information about patients in psychiatric care. We always cooperate with police investigations." Monday’s grim discovery comes amid the ongoing investigation into the death of Ruby Andersen. Anderson’s body was discovered in an engineering building on May 30th. She disappeared after walking away from an on-campus Residential Care Facility for the Elderly back on May 19th. Editor's Note: The woman who died was later identified as 33 year old LaVerne Criner. SFPD says they never suspected any foul play in her death. Their protocol is to send homicide officers to investigate all in-custody deaths.